Play the music you love anytime, anywhere with Napster. Unlimited streaming of millions of songs, ad-free radio. Download your favorite songs to play when you’re offline. Stream from your mobile, tablet, the web, your car, and home audio devices. Find new artists, albums and songs every day. 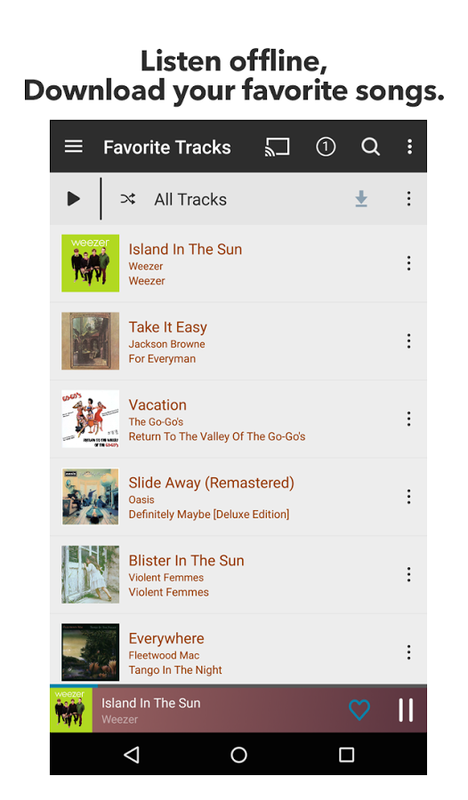 Create radio stations from your favorite artist or song, streamed directly to your device. 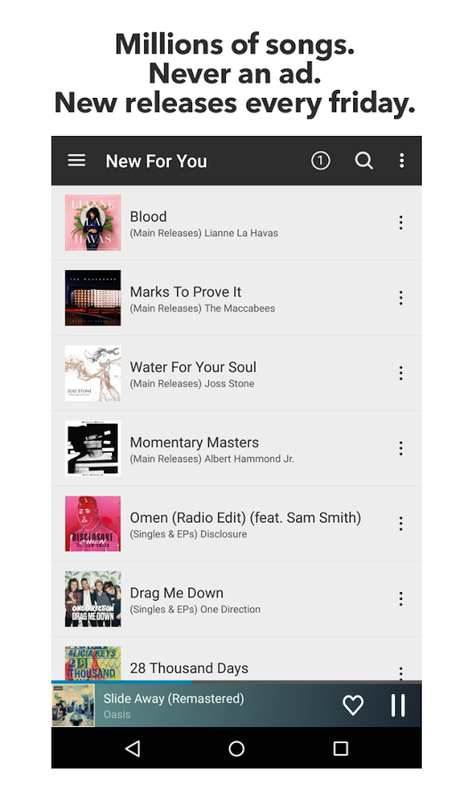 Has you just readed, Napster works similar to other ‘self-radio’ apps. But into the diversity, it’s the perfection. If you didn’t found yet your favourite app to listen your music or discover new artists, try it out! Also Napster includes: Napster KIDS. The only streaming experience that’s fun, safe and easy, just for kids. Note: This app is free with a trial period to use.